Newport Street Gallery will present an exhibition of work by American artist John Copeland (b.1976), opening on 21st February 2018. This will be Copeland’s first UK solo exhibition. 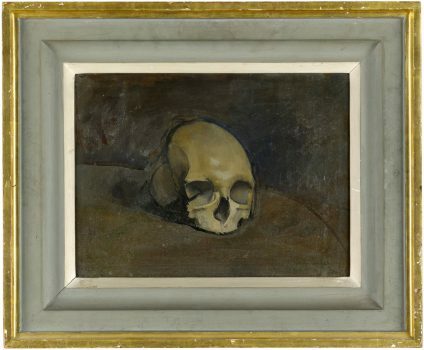 The exhibition – ‘Your Heaven Looks Just Like My Hell’ – will feature twenty-five paintings, dating from 2009 to 2017, taken from the Murderme collection. 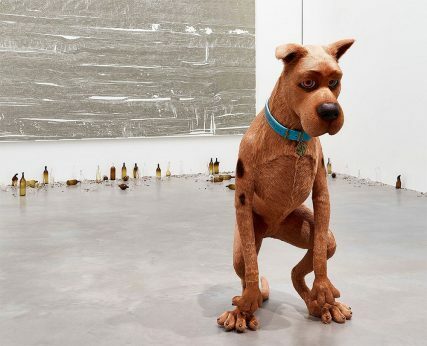 The artist, Dan Colen discusses his new exhibition with Tim Marlow, Director of Artistic Programmes at London’s Royal Academy of Arts. Newport Street Gallery is pleased to present a solo exhibition of work by Dan Colen (b.1979), which runs until 21st January 2018. This one-off performance, accompanied by Roger Rabbit, Wile E. Coyote and the Kool-Aid Man, to accompany the exhibition Sweet Liberty will culminate at Newport Street Gallery on 5th October 2017 at 11.30am until midday. 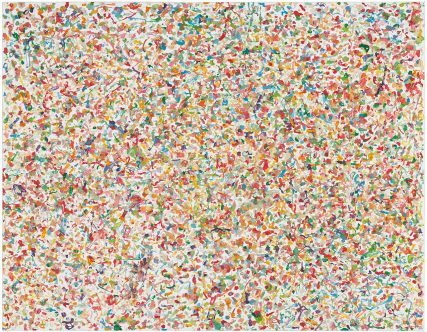 Newport Street Gallery will present an exhibition of work by American artist Dan Colen (b.1979), opening in October 2017. 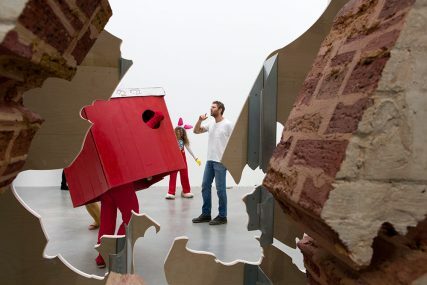 Colen’s first major London solo show spans over fifteen years and features new works, including large-scale installations. 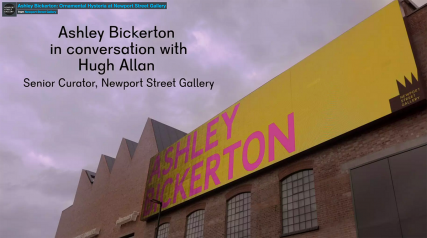 The artist, Ashley Bickerton discusses his new exhibition with the Senior Curator of Newport Street Gallery, Hugh Allan. 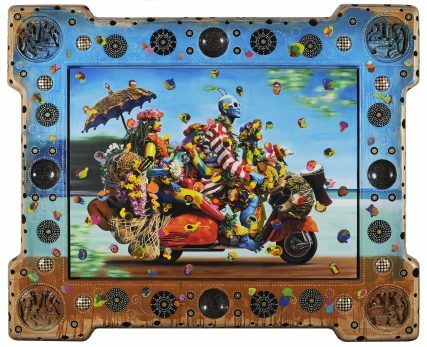 Newport Street Gallery is pleased to present ‘Ornamental Hysteria’, a solo exhibition of work by American artist Ashley Bickerton (b.1959), which runs until 20th August 2017. 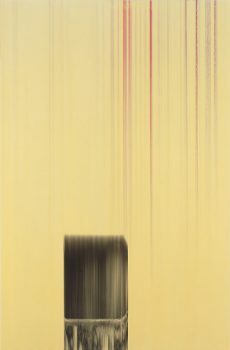 Newport Street Gallery is pleased to announce an exhibition displaying a selection of works taken from the Murderme collection, Damien Hirst’s collection of over 3,000 works by other artists, from 29th March to 17th April. 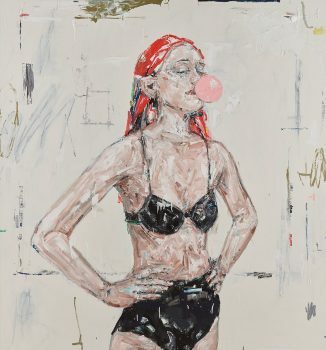 Newport Street Gallery is pleased to announce a solo exhibition of work by American artist Ashley Bickerton (b.1959), which opens to the public on Friday 21st April and will run until 20th August 2017.